What could be better than finishing off a meal with a refreshing and tropical twist. 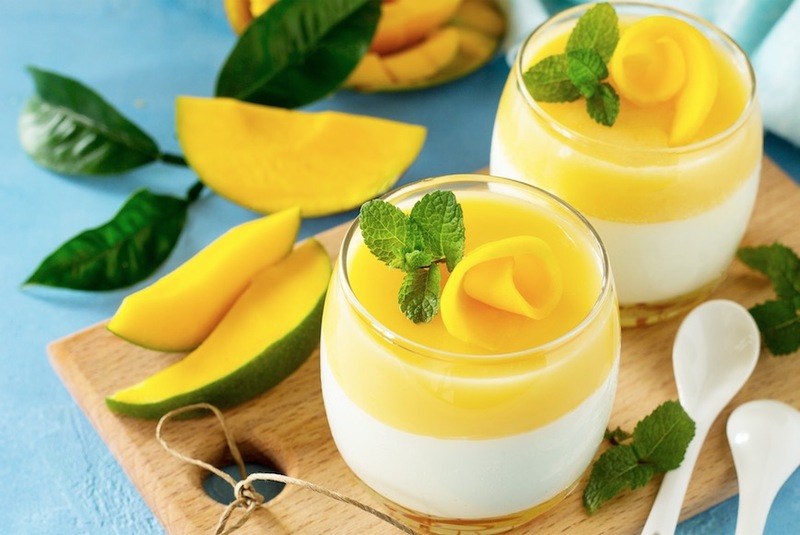 This Mango Panna Cotta will definitely hit the spot and it has oodles of WOW factor. 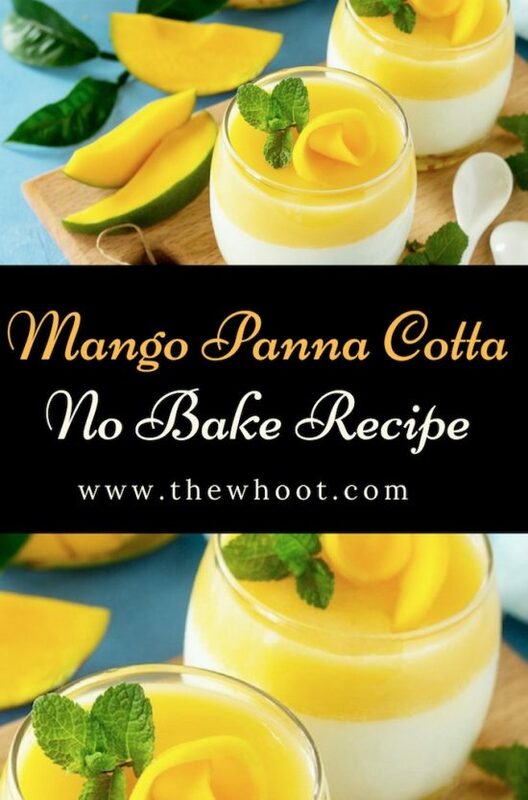 If you are looking for the perfect, easy breezy desert that is both beautiful and delicious, look no further than Mango Panna Cotta. The gorgeous tropical colors are a feast for the eyes. The flavors are a true party for your mouth and the best part, it’s ridiculously quick and easy to recreate. This old fashioned Italian favorite will ensure the compliments are flying. Today we are sharing with you a short video tutorial from Grey Pot that shows you how to recreate this popular dessert. 2. 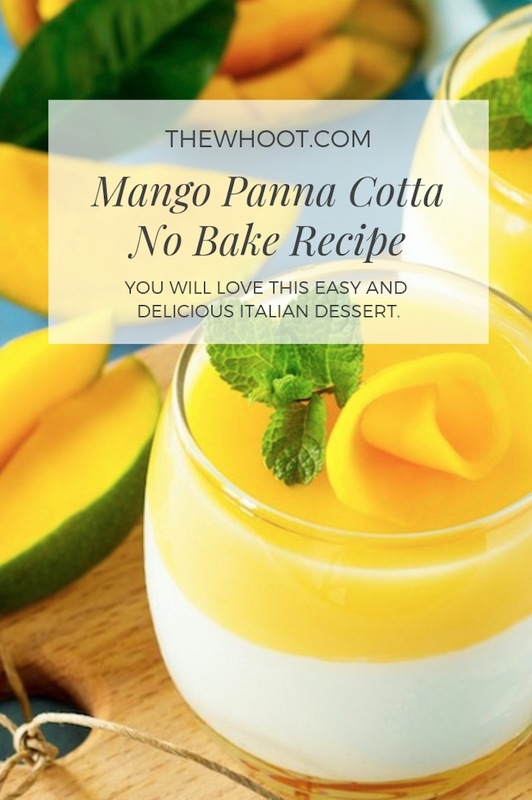 Make mango puree with sugar and water and mix in the melted gelatin and pour it into the glass. 3. Refrigerate for 2 hours to set. 4. Warm some milk with cream and sugar. 5. Add vanilla essence and gelatin and mix well. 6 Pour over the mango layer and again set it for 2 hours. 7. Garnish it with some mango balls and serve chill.